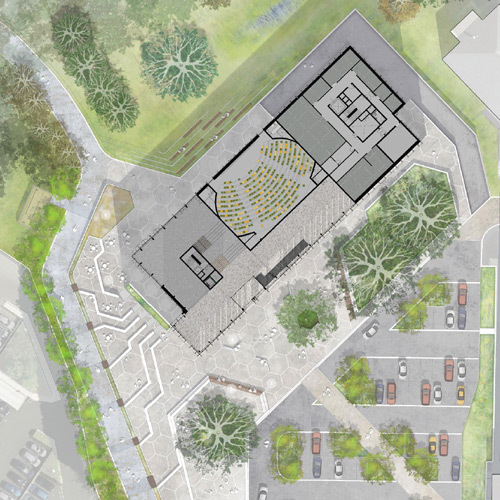 New academic building up to 5 storeys (plus rooftop plant) in height and comprising up to 8,330m2 (GEA) of research, teaching, office and social space with high quality external landscaping. Enhanced pedestrian/cycle links to Central Campus. 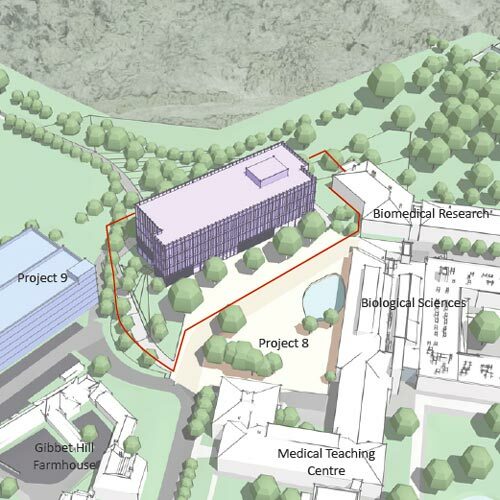 "The University of Warwick seeks to provide a new Interdisciplinary Biomedical Research Building (IBRB), to accommodate a shared building for the School of Life Sciences (SLS) and Warwick Medical School (WMS). 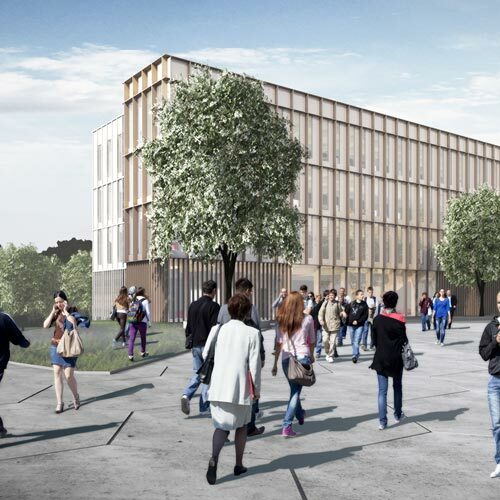 The ambition is for a transformative building, which will help to raise their scientific profile and enhance institutional support for continued excellence in life changing research." 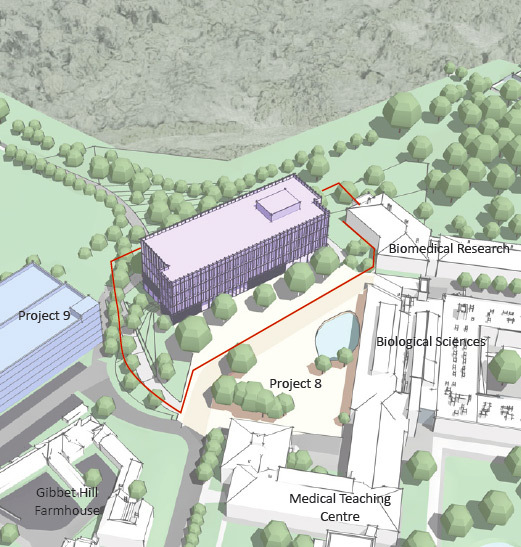 The IBRB creates a clear identity and a flagship building for the future of Gibbet Hill Campus, promoting the building as a world class facility. The IBRB creates a feeling of inclusivity and accessibility for all building users, visitors and public through transparency, openness and views. 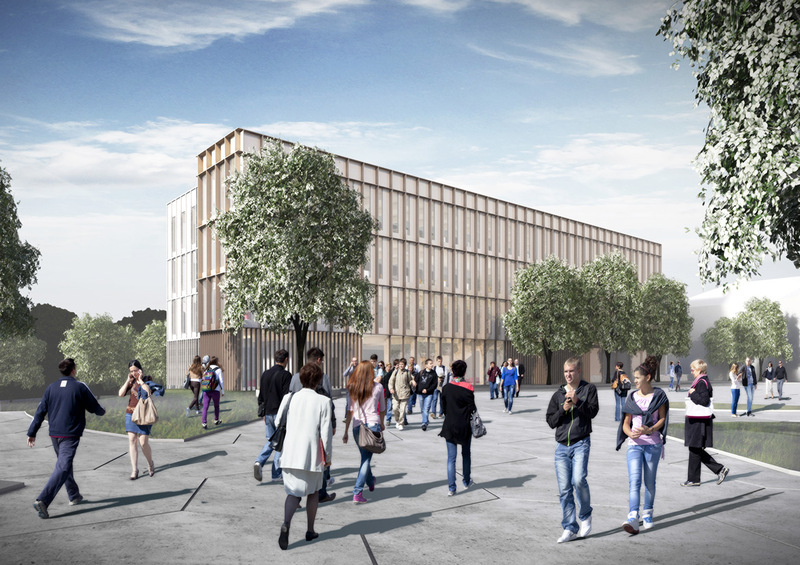 The building will provide an environment for research, learning and discovery, with associated write-up, office and support accommodation. 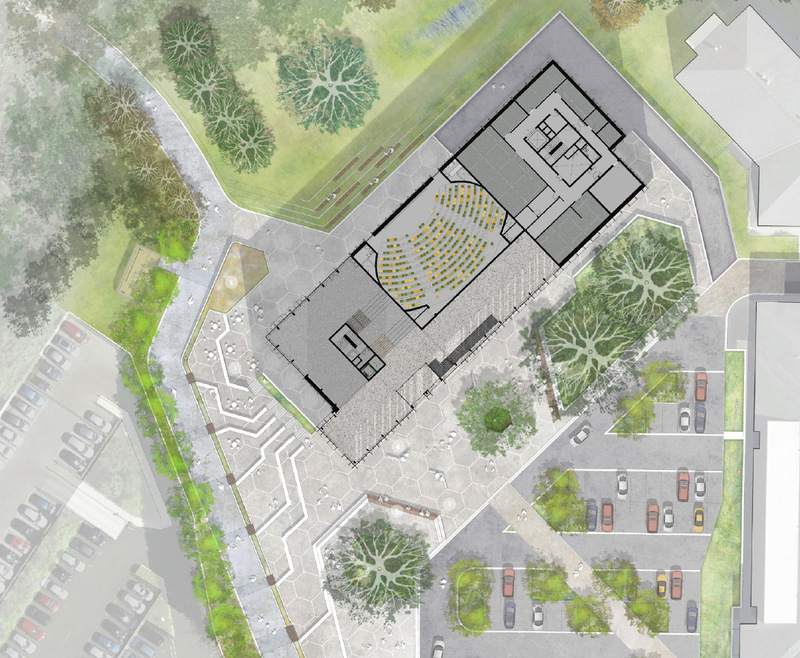 Research spaces are complemented by high quality teaching, social and collaboration space and strong links to the existing context and landscape. The IBRB will promote interaction and collaboration through chance encounters created by a well designed internal layout, and designing high quality, strategically located collaboration spaces of varying scale to encourage use by all. 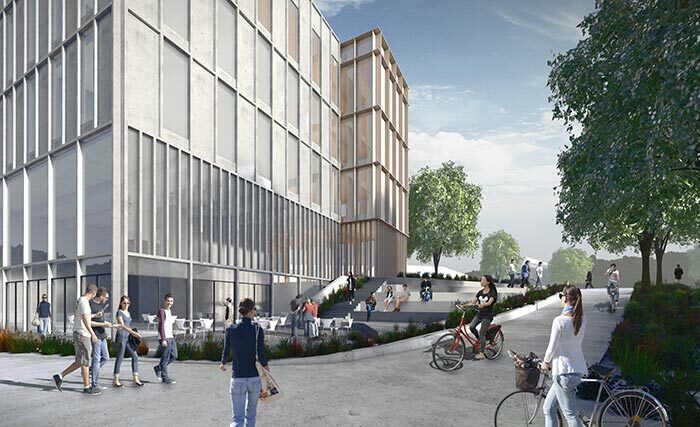 There are opportunities to create strong relationships to well designed public external spaces, to form links between internal-external spaces and high quality, impressive communal public spaces within the IBRB, providing memorable and identifiable placemaking that is recognisable campus-wide. 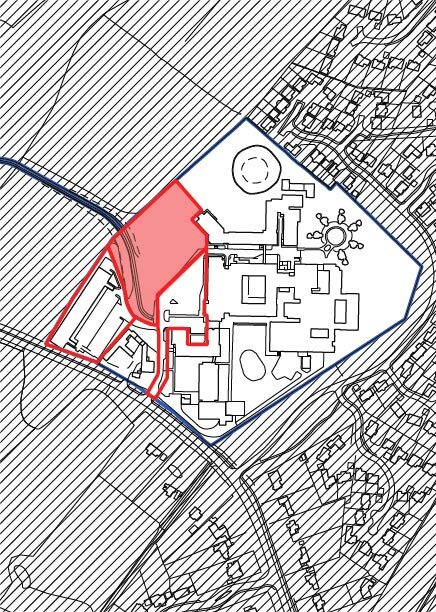 A key site feature is the existing site topography and views to Tocil Woods. The IBRB frames and enhances views, retains mature trees and provides soft landscaping reflecting woodland planting. The IBRB facade denotes two clear key functions of the internal spaces; laboratory spaces and write-up/offices. This provides a clear building diagram resulting in differing facade treatments. The laboratory areas are clad in lightcoloured pre-cast concrete, whilst the write-up areas are wrapped in lightweight anodised aluminium fins.